Here are a few ceramic urns hand-crafted in the USA by a Washington artist featuring Asian themes. 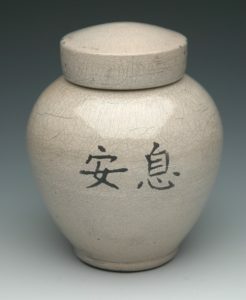 The Asian Calligraphy Cremation Urn is crafted in a classically round shape with custom characters fired onto the surface of the urn. We can inscribe Chinese, Japanese, Korean, or other characters. 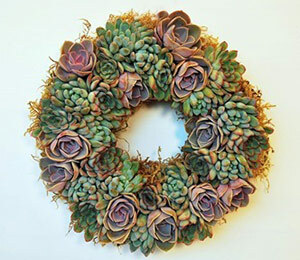 View product details for links full of ideas to honor the memory of a loved one even if you do not know the language. Available in 3 different finishes: White Crackle, as shown; Aqua Luster; or Lemon Luster. 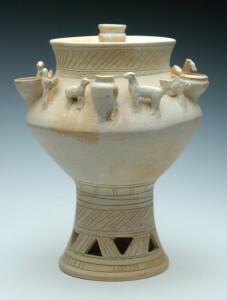 The Korean Style Burial Jar Cremation Urn is a work of art, with handmade accents consisting of clay figurines and pots. 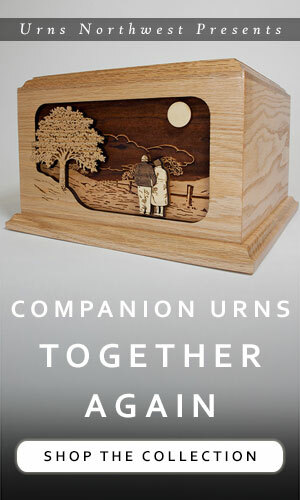 This gorgeous funeral urn is custom made to order with a design after actual museum pieces. 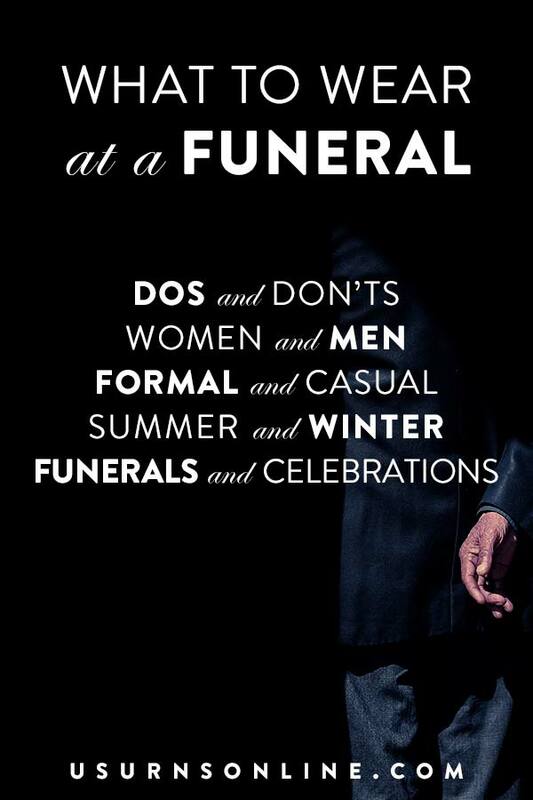 A beautiful way to honor a loved one. One of our most breathtaking funeral urns, the Han Tomb Ceramic Cremation Urn is a magnificent design based on Chinese tombs from the Eastern Han Dynasty. Constructed of glazed earthenware clay, with an embellished surface boasting a vibrant array of carved decorative elements, a work this elaborate will always symbolize the high status of the individual buried within. 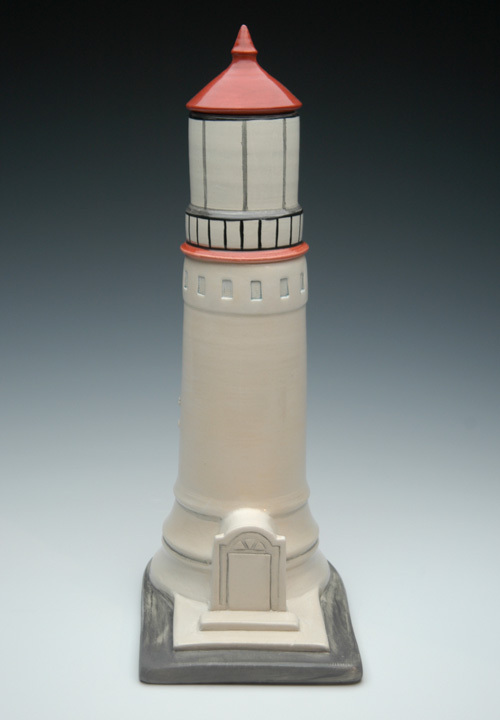 These ceramic urns are a unique design based on an actual lighthouse off the Washington coast near Cape Dissapointment. 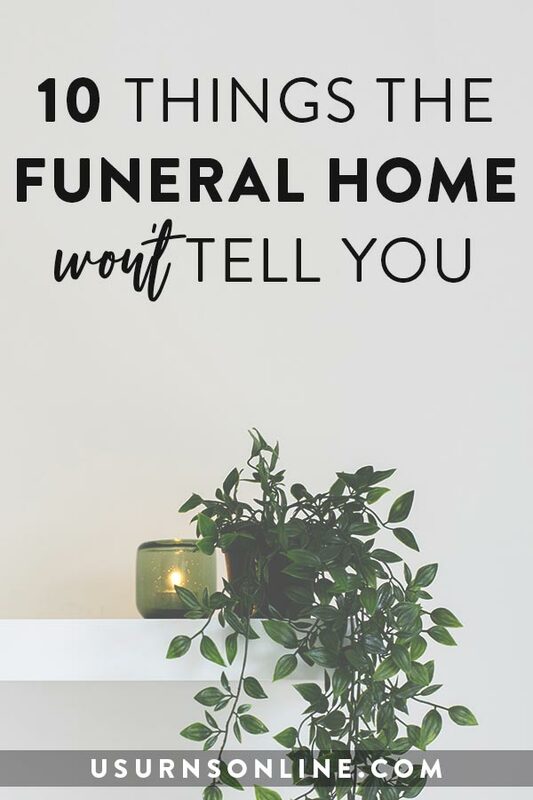 Each urn is made and fired by hand, resulting in a lighthouse memorial urn that is unique and fitting for your loved one. 19″ tall, with a 6″ base, this funeral urn holds just over 220 cubic inches of remains, and can be customized with an inscription of up to four lines fired onto the front of the urn. As with all of our cremation urns over $100, this qualifies for free ground shipping. View our entire selection of lighthouse urns. 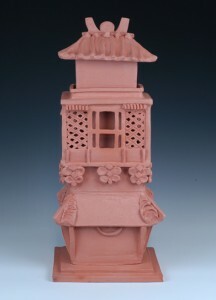 Ceramic urns are a beautiful and traditional way to inter your loved one. The timeless lustre of these hand-crafted pottery urns remain a standard choice for a lasting memorial. If your loved one was of Irish descent, loved to visit the lush green hills of Ireland, frequented an Irish pub, or simply delighted in ancient and unique Celtic designs, here are two ceramic urns to consider. Each piece is handmade with an exotic wood lid hand-turned to fit perfectly. Each cremation urn also has a hand-carved ceramic rock knob that is glazed to match. 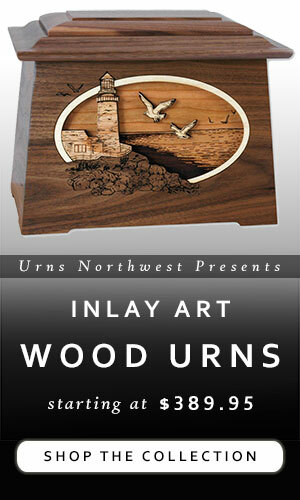 Each urn is a one-of-a-kind and signed by the artist on the bottom of each piece. The traditional pottery shape with the stylized Celtic design results in a timeless and unique memorial to your loved one.